£35 per day, £20 per half day, £150 per week. 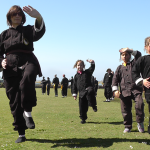 Our clubs in West Penwith are starting their spring term classes next week. Monday January 8th 2018 7:30-9pm at The Old Cattle Market. Wednesday 10th January 2018 7:30-9pm at the Chy and Bobel Community Hall. This course is open to beginners and more advanced students. 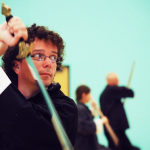 Now that Rachel is concentrating on teaching at Heartlands, Praa Sands and Helston, Justin Knight will be teaching the Penzance club this term. 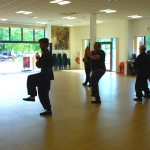 Justin has been a T’ai Chi teacher for more than ten years and started teaching at Earlsdon in Coventry. You can contact him on 07792 380444. 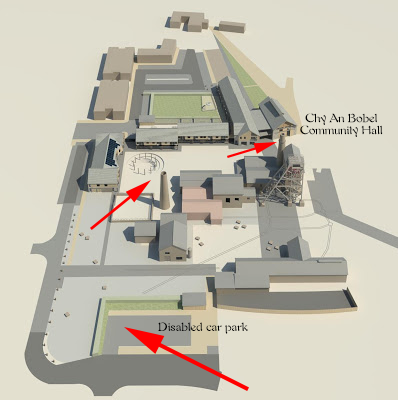 The Penzance club now has a new venue due to the sad demise of Bolitho school, it’s at Inner Space which is at the Old Newlyn School in Wesley Place near the harbour and sea front. 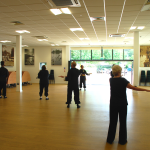 Inner Space has a spacious hall with a wooden floor. 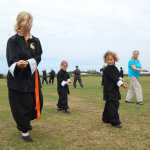 The class at Penzance will be open every Tuesday evening at 6pm to 7:30 starting on 4th October 2016. 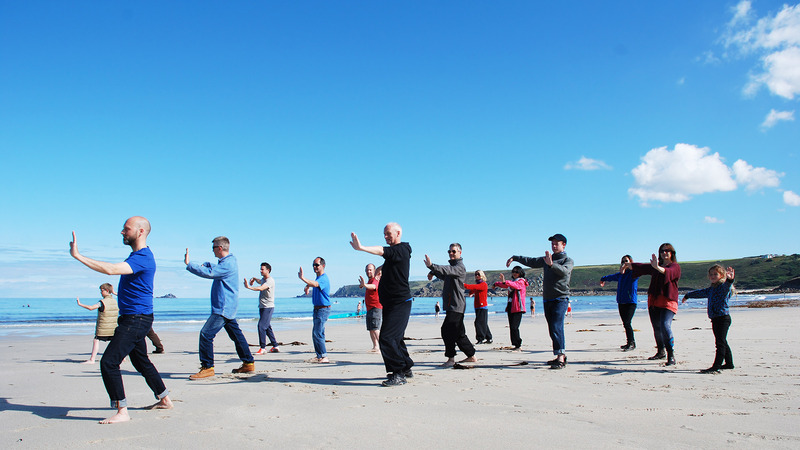 The Tai Chi 2016 Easter Course will be held at the St Just Sports Centre in Cape Cornwall Road. 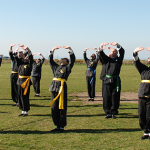 There will be five days of T’ai Chi, and Qigong starting on Monday 28th March to Friday 1st April 2016. 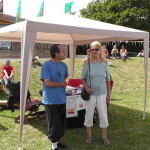 Each day will be from 10am to 5pm with lunch 1-2pm, bring a packed lunch or you can find something to eat in St Just. 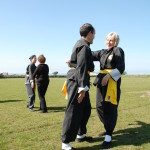 The course is open to beginners and advanced students. 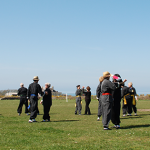 Our Summer term of Tai Chi will be starting again this week. Helston is open from Monday 13th April at 7:30-9;00pm. 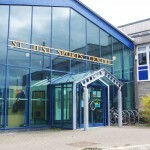 St Ives is also on this Monday night starting at 7pm. 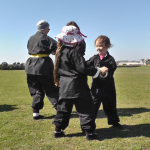 Penzance starts back on Tuesday 14th April 6:30-8pm. 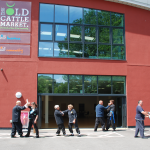 Heartlands opens again on Wednesday 15th April 7:30-9pm. 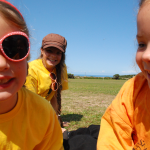 The Easter Course in St Just was an even greater success than last year, this has been our tenth year of Easter Courses at St Just, here’s some pictures and video to give you some idea of what was involved and for those of you who may be looking forwards with curiosity towards the Summer Course for 2015. 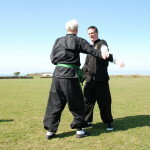 Autumn term T’ai Chi classes are starting from 1st September at Helston’s Old Cattle Market. The St Just club starts on Thursday 4th September at the Methodist Hall in Chapel Road. 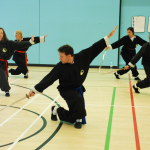 The Helston Monday evening class is from 7:30-9pm every Monday evening, the cost will be £6 per class. 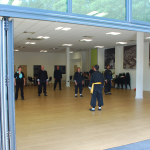 The daytime class has shifted from Tuesday to Wednesday morning from 10:30am – midday. 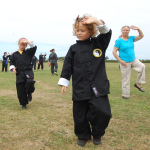 Here’s some pictures from Cornwall T’ai Chi cub members summer activities in the local area. 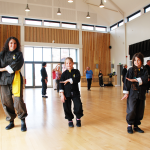 Tai Chi is suitable for all ages. 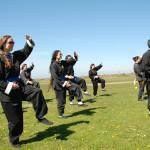 The Taoist Arts Summer Course 2014 at St Just Sports Centre is three weeks of Tai Chi, Feng Shou Kung Fu and Anmo chi energy meridian massage and Chinese Medicine starting on 28th July. 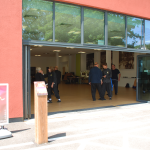 The course is open to everyone and is 10am – 5pm each day, lunch 1-2pm. Price £35 per day, £150 per week. 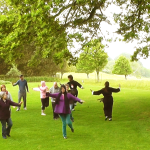 Tai Chi week 28th July – 1st August. 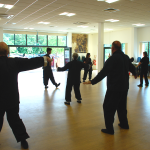 The T’ai Chi week is ideal for beginners, it’s a great way to work with more experienced people from the clubs around the country and also meet other beginners from the local area. 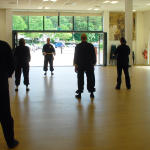 The course is equivalent to six months training plus there will also be a chance to cover some of the more advanced techniques we do not always have time to go over in the evenings for example T’ai Chi weapons. 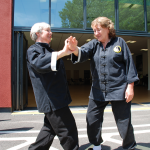 The course includes Tao Yin or deep breathing exercises, Tiaowu or T’ai Chi dance, partner work like sticky hands and exercises to develop the use of chi, Kai Men or open door chi gung, and the T’ai Chi form. 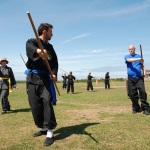 The weapons training is a traditional exercise which has an extended range of movement and also helps you to project energy outside the body. 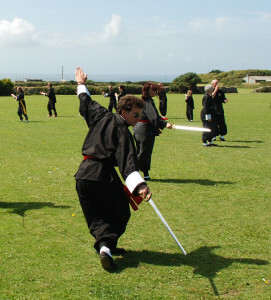 The Tai Chi weapons are a straight double edged sword, a staff, a silk and a fan. 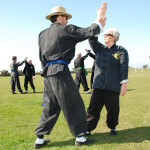 There are new forms to master and partners exercises too. 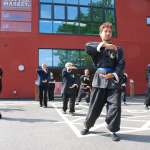 Feng Shou week 4th August – 8th August. 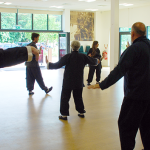 Feng Shou kung fu is a soft but very effective style of self defence training. 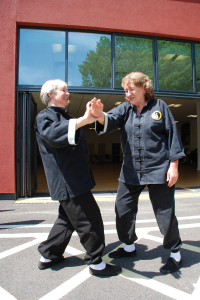 Based on the same Taoist principles as Tai Chi but concentrating exclusively on the self defence aspects of the Art it is a practical style suitable for both men and women of any age or level of ability. 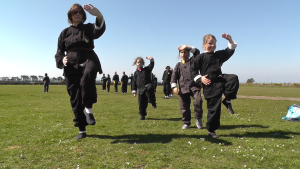 We do not use physical strength but concentrate on developing the Chi or internal energy. 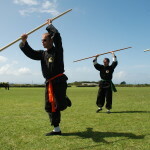 There is no demanding physical exercise regime and we develop flexibility and agility emphasizing technique and strategy over muscle power. 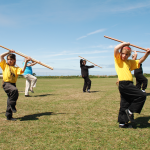 We will also be working on the kung fu weapons forms which include a Chinese broadsword, staff and chopsticks. 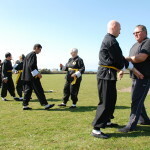 There are exercises to develop your ability to defend against all kinds of attacks including strikes, kicks and grappling. Please note the massage week is at Boswedden House near Cape Cornwall. Anmo is a Chinese health art involving improving the flow of the life force or chi energy by gentle massage techniques using the jingluo or chi energy meridians. These meridians supply the essential life energy that nurtures and regenerates the entire body. They connect the organs with the rest of the body supplying chi and vital essences. This kind of massage aids recovery from a wide range of illnesses and is based on preventative medicine so it also improves your level of disease resistance. Our approach is based on five areas including massage, Chang Ming long life diet, herbs, breathing exercises and contact thermogenesis. 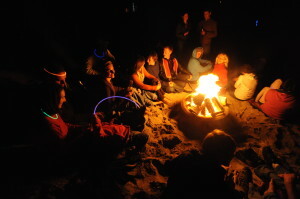 At the end of each week social activities include our beach party at Sennen Cove beach. 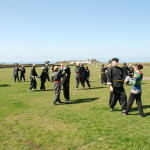 If you are interested you can book in to the course on our main website. If you have any questions you can email us or chat to us on our Facebook page. 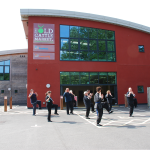 The Helston club will be hosting a day of T’ai Chi on Saturday 21st June at the Old Cattle Market in Helston. The course is from 10am to 5pm with lunch 1-2pm, tea will be available bring a packed lunch or there is a cafe at the boating lake nearby. The cost is £40 for the day. This course is suitable for beginners and advanced students and is recommended for all the students attending our clubs in West Cornwall. 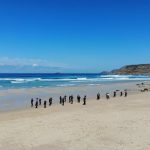 It’s a chance for you to go over your forms and exercises in much more depth and also meet up with some of the other students in the local area. 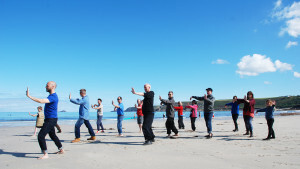 We will be starting with some gentle warming up exercises and then some Chi Gung to open the energy meridian pathways followed by our Tiaowu 跳舞 or T’ai Chi dance which is a light and flowing sequence of movements based on the five elements or Wu Xing 五行. 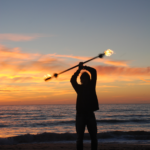 We will also be doing some partner exercises to teach you the difference between physical strength, chi or internal energy and Li which is external or macro-cosmic energy. 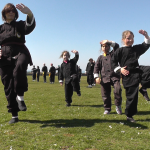 We will also be practising the T’ai Chi form which is a set of moving meditation sequences. 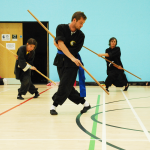 If you want to practise some of the forms at home you can copy them from the youtube videos on this link. 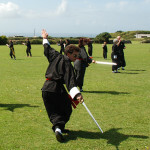 Post by Cornwall Tai Chi. 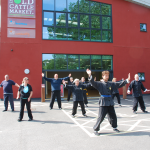 Book here now if you want to attend the free Tai Chi sessions. 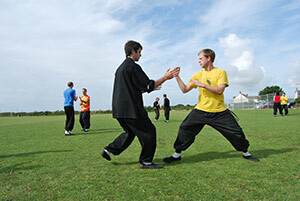 Cornwall tai Chi will be holding Tai Chi taster sessions on the activities green. 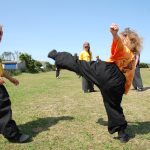 You can come along and join in the free classes and have an opportunity to talk to the teachers and find out about the online training, and group courses we have on offer in West Cornwall.